Not only does the mirror look stunning but it provides lots and lots of fun at weddings and parties a like. To keep things fresh we can also mix up the animations and characters taking the photos throughout the hire period. 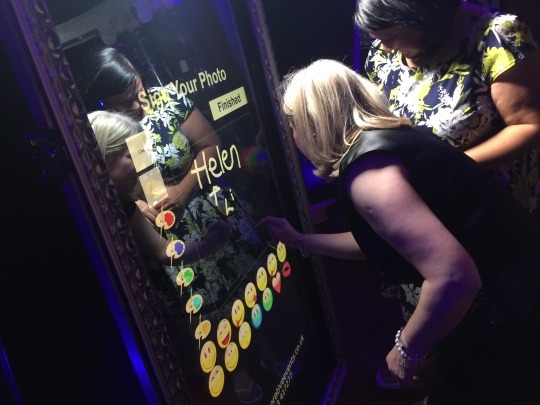 Our Magic Photo Mirror is a great alternative to the more traditional photobooth and will guide all guests old and young through and will produce instant high quality prints. Our packages include a personalised photo album where your guests can place their picture along with a written message as well as take a copy for themselves. All of the pictures taken will also be saved and handed to you on a USB stick for you to take home. Our photobooth comes installed with no-nonsense pricing and unlimited prints just select the time period you’d like the mirror for. We provide Wedding and Event Magic Mirror Hire for Manchester and surrounding areas. For venues further a field please contact us. Unlimited visits to the Photo MirrorBooth throughout the duration of the booking. Unlimited prints for the duration of the event. Your guests are also welcome to request a print to take home as well as one for your guestbook. Interactive animations helping your guests party through ‘Magic’ mirror experience. All prints from the mirror can be customised with your own message, branding otherwise names. Can be setup in any room requiring only 1m square area for the mirror itself and room for the guests. We can also set the mirror up in only 15 mins! Our photobooth comes installed with no-nonsense pricing and unlimited prints just select the time period you’d like the mirror for. We provide Wedding and Event Magic Mirror Hire for Warrington and surrounding areas. For venues further a field please contact us. Our photobooth comes installed with no-nonsense pricing and unlimited prints just select the time period you’d like the mirror for. We provide Wedding and Event Magic Mirror Hire for Chester and surrounding areas. For venues further a field please contact us. Our photobooth comes installed with no-nonsense pricing and unlimited prints just select the time period you’d like the mirror for. We provide Wedding and Event Magic Mirror Hire for Wigan and surrounding areas. For venues further a field please contact us. Unlimited visits to the Photo Mirror Booth throughout the duration of the booking. Our photobooth comes installed with no-nonsense pricing and unlimited prints just select the time period you’d like the mirror for. We provide Wedding and Event Magic Mirror Hire for Chehsire and surrounding areas. For venues further a field please contact us. Our photobooth comes installed with no-nonsense pricing and unlimited prints just select the time period you’d like the mirror for. We provide Wedding and Event Magic Mirror Hire for Liverpool and surrounding areas. For venues further a field please contact us. 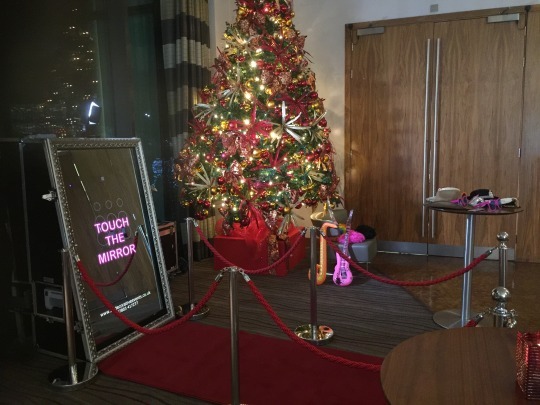 Looking for some fun entertainment for your party, wedding or corporate event, why not hire our Magic Selfie Photo Mirror in Cheshire.